Below you fill find all funeral homes and cemeteries in or near Kaufman. Kaufman is also known as: Kaufman County / Kaufman city. Their current mayor is Mayor Roberto Galvan JR..
Zip codes in the city: 75142. Some of the notable people born here have been: Sonny Strait (voice actor and comic book creator), and Carl Birdsong (american football player). It was written by Renton Reporter on September 26th, 2018 that Martin Robert Hill perished in Renton, Washington. Hill was 81 years old and was born in Kaufman, TX. Send flowers to express your sorrow and honor Martin Robert's life. It was noted by Graham Leader on May 14th, 2018 that Ricky Blaine Epperson passed away in Kaufman, Texas. Epperson was 68 years old. Send flowers to express your sympathy and honor Ricky Blaine's life. It was noted on April 20th, 2017 that Richard L Diehl died in Kaufman, Texas. Diehl was 73 years old and was born in Omaha, NE. Send flowers to express your sorrow and honor Richard L's life. It was disclosed on July 7th, 2016 that Judith C Conner died in Kaufman, Texas. Conner was 72 years old. Send flowers to share your condolences and honor Judith C's life. It was disclosed on July 7th, 2016 that Judith C Conner passed on in Kaufman, Texas. Conner was 72 years old. Send flowers to share your condolences and honor Judith C's life. It was revealed by Texarkana Gazette on April 1st, 2016 that Vera Lee Bryan (Adcock) perished in Kaufman, Texas. Ms. Bryan was 88 years old. Send flowers to share your condolences and honor Vera Lee's life. It was reported by The Daily Herald on April 1st, 2016 that Raul Urbina passed away in Elk Grove Village, Illinois. Urbina was 91 years old and was born in Kaufman, TX. Send flowers to express your sorrow and honor Raul's life. It was revealed by McCook Daily Gazette on March 14th, 2016 that Dorothy Marie Wilson (Clopp) died in McCook, Nebraska. Ms. Wilson was 92 years old and was born in Kaufman, TX. Send flowers to share your condolences and honor Dorothy Marie's life. It was noted on November 5th, 2013 that Mark S Shepherd died in Kaufman, Texas. Shepherd was 55 years old. Send flowers to express your sympathy and honor Mark S's life. It was noted by Canon City Daily Record on June 18th, 2013 that Majka Amelia Clark (Prasetik-Beran) perished in Canon City, Colorado. Ms. Clark was 93 years old and was born in Kaufman, TX. Send flowers to share your condolences and honor Majka Amelia's life. The population was 6,490 at the 2000 census. 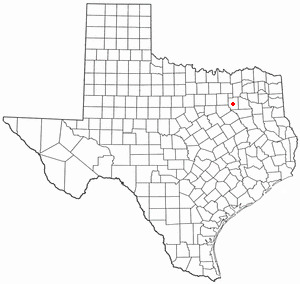 Kaufman is a city in Kaufman County, Texas County, Texas, United States. It is the county seat of Kaufman County . . . The official website for the city of Kaufman is http://www.kaufmantx.org/. Harold Evert Upchurch was born in Sulphur Springs, Texas on Aug. 17, 1942 to William Landrum ... A funeral service was held Saturday, Nov. 6 at Parker-Ashworth Funeral Home in Kaufman with interment following in Able Springs Cemetery. Funerals in Kaufman, TX on Yahoo! Local Get Ratings & Reviews on Funerals with Photos, Maps, Driving Directions and more. Find embalmers & Embalmers in Kaufman, TX. Read business reviews, find driving directions, and more. embalmers on YP.COM. We work with local florists and flower shops to offer same day delivery. You will find budget sympathy flowers in Kaufman here. Our funeral flowers are cheap in price but not in value.